Every week, I personally receive dozens of press releases about new fermented products, and the majority of them are pretty interesting: Specialty spirits, artisanally distilled concoctions, and the like. But once in a while, I’ll receive information about a product that would never pop into existence without the evil-genius work of some food and alcohol scientist with a will and a really bad idea. These low-alcohol concoctions seem to fall into the category of the latter. My personal opinion is pretty straightforward: It’s a crime against nature and your liver (not to mention your poor, abused taste buds) to subject them to these lab-created abominations. 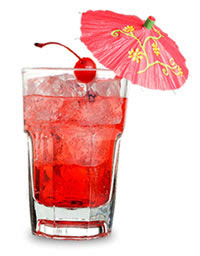 Drink a grown-up cocktail, or order a Shirley Temple and get on with your meal. Hemingway, Sinatra, and every other respectable devotee of the cocktail are all spinning in their final resting places as a result.